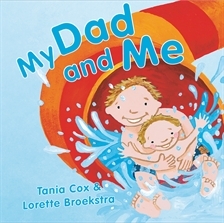 A sweetly appealing gift book that explores the joy of being a child, and of being a dad. What makes Dad happy? When he builds me a tower and I pick him a flower; when I write him a note for the pocket of his coat; when he helps me to fly way up high in the sky. What makes your dad happy? The perfect gift for fathers and children to share together.